Hello! I have a very lovely combination to show you today. 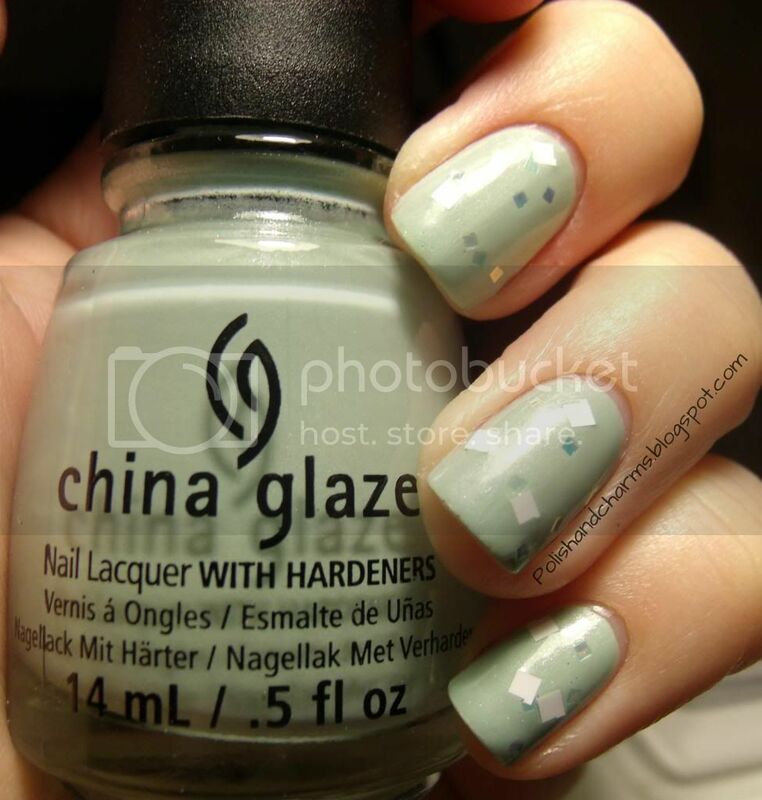 This is China Glaze Keep Calm, Paint On from the Avant Garden Collection. I decided to layer OPI Lights Of Emerald City on top. I think it made a gorgeous combination! I used 2 coats of the China Glaze. Enjoy! I love that glitter! Great combination! I am in with this combo and HAVE to do it now! Thanks Meredith! Can't wait to see your version! That is a pretty and subtle combination! I love the sage-y quality to this mint and can't wait to try mine out. And the Oz glitter adds a really nice whimsical feel to the whole look! What a beautiful combination! I'm definitely going to have to try this. I was never really a fan of that glitter - but I hadn't seen it swatched over any color other than the other OZ neutrals. I am LOVING it swatched over this green - it's seriously dreamy! Originally I wanted the polish just for the name but it really is gorgeous! This is a beautiful combo! Thank you! I love this green, it's nice and light! Thanks! I can't wait to try it over lots of other colors! This looks quite lovely! I think I'd like it better without the white squares though.